Auto Accident - Robert N. Susko P.C. Road and traffic accidents comprise the most common types of personal injury cases. Robert Susko is an ardent advocate fighting for justice for those injured due to the negligent actions of a driver in any kind of vehicle — car, truck, motorcycle or boat. Mr. Susko handles all aspects of your claim so you can focus on recovering from your injury. 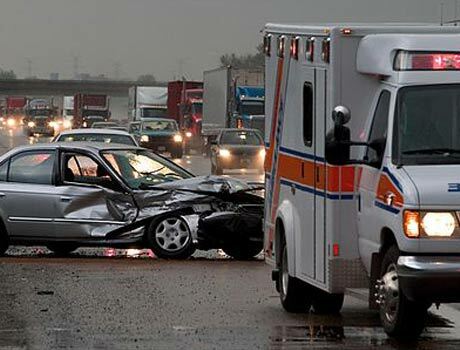 Auto accidents result in injuries that range from minor to catastrophic, and are governed by negligence laws. Mr. Susko manages the complexity of each case and hires experts to reconstruct what happened. He vigorously represents your interests to win you just compensation. Attorney Susko takes time to explain the law so you know your options and best next steps. He investigates to determine who is at fault and how much is owed to you in damages. He strives to settle your claim out of court by negotiating with insurance companies and those who caused your injury. If a settlement cannot be reached, he is ready to go to trial to represent your interests and rights. If you or a family member has been injured in a vehicular accident, contact Robert N. Susko, P.C. to arrange a free consultation. All auto accident cases are handled on a contingency fee basis. Our welcoming and accomplished bilingual staff members are ready to serve you.